Beautiful glasses weighing 1lb each. 5 3/8" Tall. Quality heavy crystal with attractive beveled design and diamond cut crystal at bottom of glasses. Has production marks. RALPH LAUREN Plaid DBLE OLD FASHIONED CRYSTAL GLASS TUMBLER SET OF 2. Shipped with USPS Priority Mail. For your consideration is this delightful on the rocks/double old fashioned tumbler made by Williams Sonoma in the Dorset pattern. This pattern was introduced in 2007. The tumbler is made of quality clear crystal. 1 double old fashioned and 2 tall highball/tumbler glasses. Here is a mixed set of 3 glasses from MillerROGASKA in the stunning and discontinuedVogue pattern. 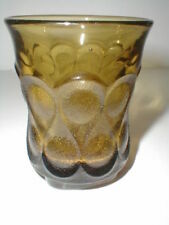 This is a great old fashioned glass or tumbler made by Gorham in the Cherrywood pattern - marked on the bottom GORHAM. For your consideration is a set of 4 beautiful 24% lead crystal highball tumblers. Tumblers are listed as preowned but are in excellent condition with. Set of 4 Rogaska Crystal " Avenue " Highball Tumblers - Excellent! Set of 4 - Rogaska Crystal Highball / tumblers in the "Avenue" pattern. Mouth blown and hand cut vertical lines around the glass. Previously owned but in excellent condition. They appear to have been rarely, if ever, used. 6 Crystal Tom Collins Glasses Cane Button Rexxford??? Very similar to the Solitaire pattern by Rexxford. SAFARI 3 Double Old Fashioned Glasses Criss Cross Design Coat of Arms by Ralph Lauren Crystal Design is now discontinued 4 1/8" tall x 3 3/8" wide across top Glass are very clear, no signs of dishwasher or cloudiness These glasses are heavy. Nice addition to your barware collection. Packed very well and insured for shipping!!! I want to THANK EVERYONE for all of their past and future purchases! I APPRECIATE IT AND YOU!!!. Set of 4 Ralph Lauren "Safari" tumblers. One glass has tiny scratch on lip. Otherwise, in great condition. Althea pattern. Set of 6 Gorham crystal highball tumblers or water glasses. Marked Gorham on bottom. made in West Germany. 2 rows petal shape cuts, cut & polished. Set of 5 matching 8 ounce cut crystal tumblers or whiskey glasses in a pinwheel and fan pattern. Here's a set of 4 elegant tumblers or highball glasses in the Herringbone pattern by Ralph Lauren. They have an etched Ralph Lauren maker's mark on the underside. They hold 12 ounces. For sale is a Ralph Lauren Claremont red double old fashioned. Use pictures for condition. Made by Godinger of Dublin Ireland. Set of 4 Double Old Fashioned Fine Lead Crystal Tumblers. Minor signs of wear/use/age, if any. Smoke Free. 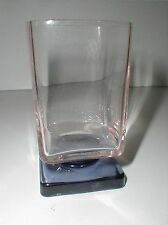 A set of two 5 3/8" tall highball crystal tumblers in Rogaska's Gallia pattern. General Helpful Information. These beautiful RLL glasses are crafted from exquisite crystal. - BROGAN DOUBLE OLD FASHIONED WHISKEY GLASSES SET OF 4 -. 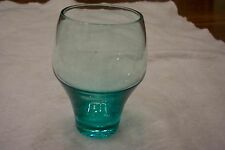 - RALPH LAUREN FINE CRYSTAL GLASSWARE -. - FINE CRYSTAL - DISHWASHER SAFE - HEAVY DUTY GLASSWARE -. Dansk Set of 4 KARIN ORGANX Wine Goblets New in Box #802473. Karin Organix Crystal Wine Goblets. New in Box. Box has minor wear and tear. DO NOT DUPLICATE OR COPY! 4 different designs. Great set of four (4) hard to find tumblers from Atlantis. The crystal is clear and sparkly. Each of these lovely glasses are signed on the bottom "Atlantis". Atlantis Crystal Tumblers. There are many variations in crystal. 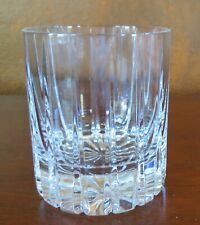 Royal Crystal Rock Aurea 5 7/8" highball tumblers (4) in excellent condition. Good luck. FLATWARE 1847 Rogers Bros. Each Glass is in excellent condition and appears unused. RALPH LAUREN GLASSES. GREAT CONDITION. For your consideration is this elegant footed iced tea tumbler made by Gorham in the Gentry Clear pattern. This pattern was first introduced in 1987 and produced until 1994. The tumbler is made of quality clear glass with a swirl pattern texture in the bowl. The item pictured is the item you will receive. We accept all major credit cards issued by a U.S. bank or lendor. We reserve the right to cancel orders or refuse service at our sole discretion. There are 8 of these available. Each one has never been used, shows no cloudiness or lines. (Sorry about all the glare, no problems with the pieces.). RCR Crystal Laurus Pattern 9 Oz Tumbler Set Of 6. Shipped with USPS Priority Mail. Tumblers are approximately 4 1/2” tall. Brand new in original box. FLATWARE 1847 Rogers Bros. Designed by Tapio Wirkkala in 1968. Each is in excellent lightly used condition. STEMWARE & GLASSWARE. CHINA & DINNERWARE. 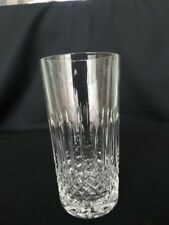 1 Used Rogaska GALLIA Crystal Highball Tumblers 5 3/8"
1 Used Rogaska GALLIA Crystal Highball Tumbler 5 3/8". No chips or cracks. See pictures for description. I am not an expert on anything. Please ask all questions before bidding. I will answer as accurately as possible. Payment is expected within 48 hours. Christofle states the Following This tumbler was made specifically for serving tall cocktails and mixed drinks. A set of them makes a great housewarming or wedding gift. Serve up a tall glass of elegance and sophistication at your next Party! Item pictured is the exact item you will receive. Box does show some wear but still serves its purpose. Tumblers have never been used, still have stickers. Get it while you can! Because of my competitive pricing and super quick free shipping I tend to sell items fast! Feel free to PM me with any questions you may have. I usually ship the same day payment has been received. Check out my store for other great items! Set of 6 Atlantis Lead Crystal Moselle Whiskey/Scotch Tumblers. In excellent condition. See photos for condition. No chips or cracks. Each tumbler is approx 3 3/4" high and 3 1/4" in diameter. Recently acquired in a estate sale in Virginia. Please contact me with any inquiry. These are heavy Crystal glasses with a beautiful cut pattern. Each glass holds 11.8 oz. 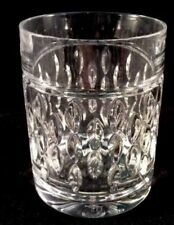 Edinburgh Hand Cut Diamond & Fan Crystal Whiskey Tumbler Glass 3 1/4"